When we came to see Hour, the nurse told us that she was going to be discharged. So we helped Hour’s guardian to pack all of her bags and dress Hour and get the milk and discharge report ready. 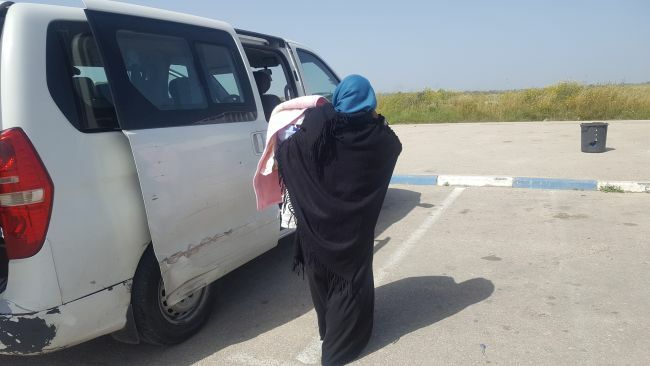 We were in such a big rush to get her in time to Wolfson to the other Gaza families who were going back to Gaza. 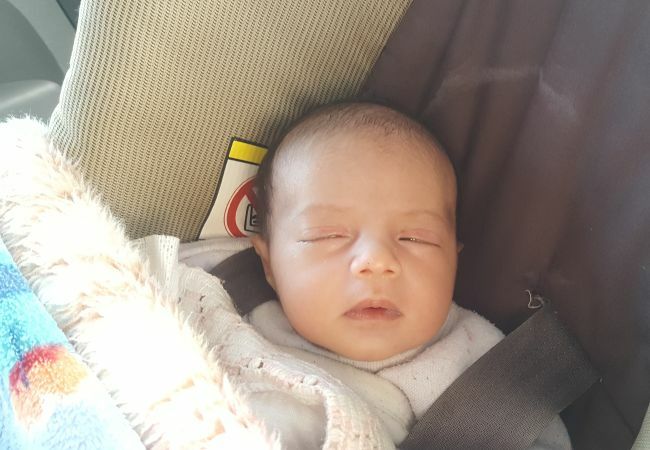 Fortunately we got her in time to the others and Hour could go back to her family in Gaza. Her grandma was really disappointed for not having surgery, but the nurse explained us that Hour is still too small to have surgery. She needs to grow and gain some weight to have her surgery perhaps in one or two months. Please pray for strength and understanding for her family. And please pray also that she can gain enough weight to have her surgery in the next few months. Today, we had the honor to get to know Hour and her lovely aunt a bit better. She is such a sweet baby, as she was calm and innocent dozing in her aunts arms. Lulling Hour, her aunt shared a bit of her story with us. Hour is the daughter of her brother. Because of the young age of her mother, they asked her aunt to apply for a permission. Now, she is here and they are still waiting for the surgery. They first wanted to operate her last week. But now they still have to wait for results of a CT-Scan before they can put her on the schedule. As we hear it a lot in the news and also from other families, also her family suffers in Gaza. She described how difficult life’s getting and how people are trying to leave Gaza to settle down on a better place. I think as western people who have usually grown up in a good, safe and in comparison really wealthy environment with many opportunities, it can be difficult to fully understand the daily life for those families. We hardly can understand the pressure they’re living under and their daily sorrows. But what we can do, is showing them that someone cares for them, that they are not forgotten. And also we can lead them to Jesus, as their messiah, the only place they can find real joy and freedom. So please pray for them and let us pray, that Hour’s family will have an encounter with the almighty God. 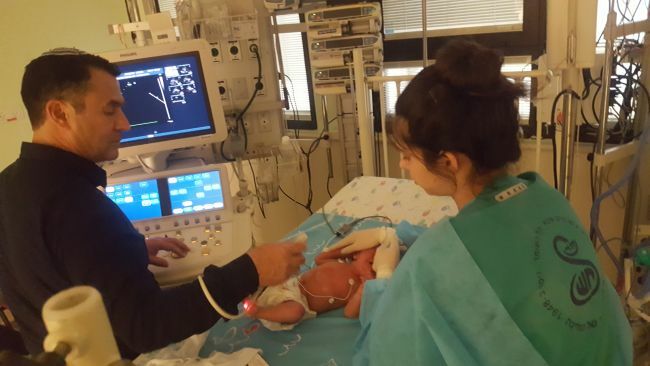 Today we welcomed sweet Hour and her grandmother to Israel for Hour’s heart repair at Sheba Medical Center. Hour is just two weeks old and already made her way to our urgent list to get help from the skilled medical team at Sheba. 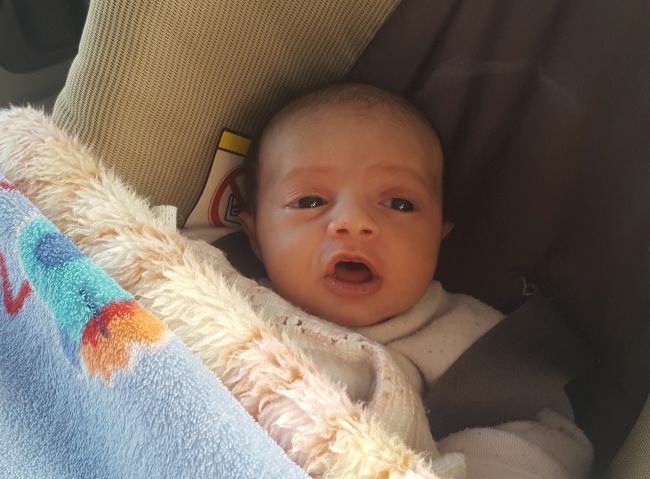 Hour was stable at a hospital in Gaza but her heart defect requires early intervention. Her two main arteries which bring blood to and from her heart are in the wrong places and need to be switched. Due to the complexities of the heart and blood flow, intervention must begin the first month after birth to allow the surgical repair to give Hour a normal lifespan. 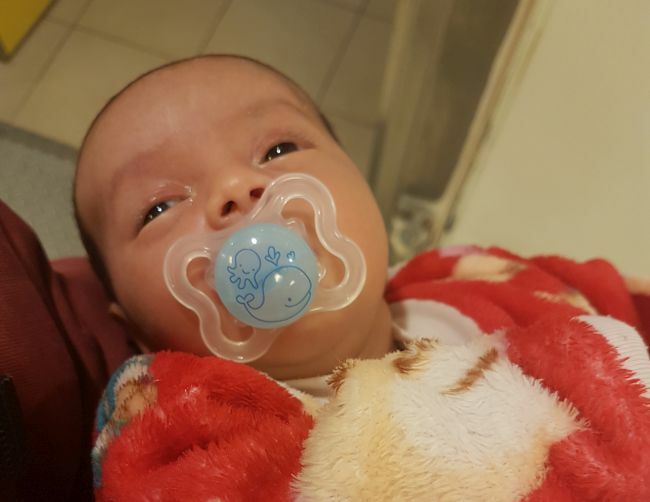 We applied this morning for an urgent request to the border to allow crossing in the afternoon for Hour and her grandmother, and we soon got word they had permission to cross into Israel. After arriving to the Erez border area we learned Hour’s grandmother was actually still waiting for finalization of the permission. But God is good and saw it through; so after some time we saw smiling Grandma bustling across the parking lot with Hour swathed in layers of blankets. 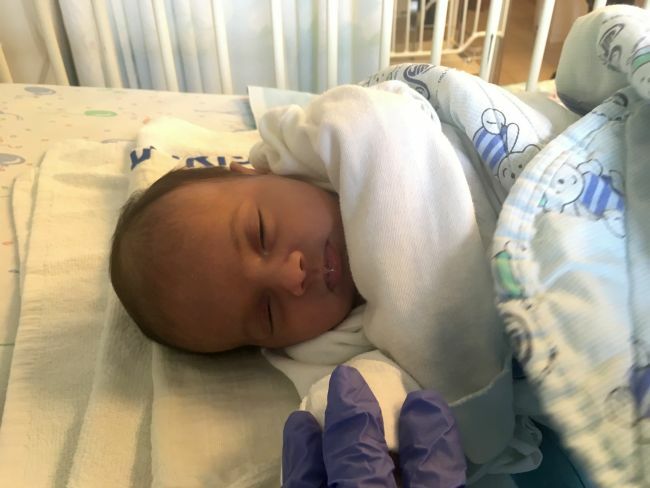 This sweet baby girl is just 2.7 kilograms and quite blue with her oxygen saturation reading around 80% as we arrived to the ICU at Sheba where Hour was immediately checked in by the staff. 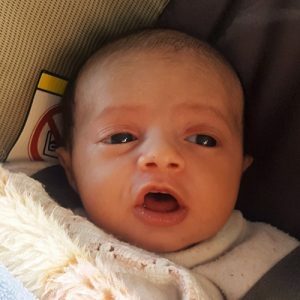 Grandma and Hour will have quite a journey in front of them as they learn their way around Sheba, Israeli culture, and go down the path of Hour’s healing. We are so excited to see the Lord’s hand over this family and how He will heal miss Hour! We learned tonight at dinner that the meaning of Hour’s name is relating to light from above. How interesting to consider and begin praying about how God will use this girl’s future to be a shining light for Him. 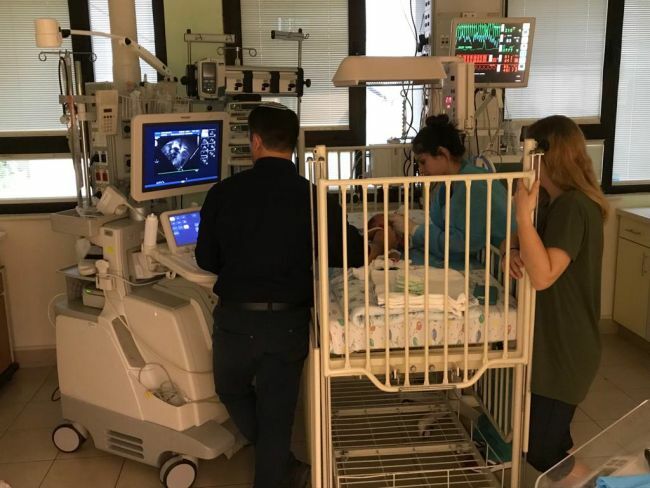 We also ask for prayers that both baby and her grandmother will have good rest tonight and we will soon hear more about the surgical plan and timing. Hour is an emergency transfer from the Gaza Strip. As of right now, Hour still needs $4500 toward surgery and related expenses.